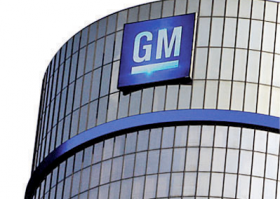 DETROIT -- Federal safety regulators have extended for at least a year a consent order that subjects General Motors to close scrutiny on safety matters, a condition placed on GM in the wake of last year's ignition switch recall. In the sweeping consent order, the automaker last year agreed to wide-ranging government oversight of its safety processes for up to three years, as punishment for waiting too long to recall 2.6 million small cars with faulty ignition switches. The defect has been linked to at least 104 deaths and nearly 200 injuries. The National Highway Traffic Safety Administration said Thursday -- on the anniversary of the original consent order -- that the "unprecedented" oversight of how GM handles potential safety issues would continue for at least one more year. NHTSA said it extended the oversight because it "has proven to be a productive and effective tool to proactively and expeditiously address potential safety-related defects." “GM learned a hard lesson last year,” U.S. Transportation Secretary Anthony Foxx said in a statement. “We expect to see the improvements they’ve made continue and that their new approaches are applied to every GM safety issue and every recall. Today’s action will help keep them on the right track." GM is required to submit reports and meet regularly with NHTSA officials so that the agency can ensure that the company is meeting its obligation under the consent order, which required an overhaul of how GM diagnoses and acts on potential defects. In a May 14 letter to GM, NHTSA's assistant chief counsel, Timothy Goodman, said the decision to extend the agency's oversight was not "based on a concern with GM's performance to date, but rather to continue the dialogue that those requirements have facilitated on important safety issues." The Detroit News reported on the attorney's letter earlier Thursday. GM has implemented several changes to its safety protocols since it began the ignition switch recall in February 2014. It has appointed a global safety chief, reorganized its engineering division and created a program that encourages employees to report potential safety problems. A GM-commissioned investigation of its handling of the defect found that several high-ranking attorneys and engineers knew of the problem for years but didn't elevate the issue to GM executives. The switch is prone to slipping out of the "run" position, cutting power to the steering, brakes and airbags.